Can CBD Help/Cure My Dachshund? Back Problems: How can CBD help? Do similar small breeds of dog see results with CBD? Known for their gentle nature, loving and playful side, as well as general adorable-ness, Dachshunds are the cutest breed of dog, without question. They also attract a lot of attention due to their unique look and lovable traits. However, their build is detrimental to their health, and many of our cutest little friends have problems with their spines throughout their lives. If you’re seeking means of keeping your dog healthy, we can’t recommend CBD enough. Throughout my article, I plan to point out many ways in which CBD can aid the wellness of Dogs such as Dachshunds, which will be music to owners’ ears. As an added bonus, I’m adding a complimentary, downloadable checklist which you can use to see if your pet could benefit from CBD products. They may look sweet and innocent, but our four-legged friends were bred to be fighters and hunters originally. Back in the 15th century, these dogs were a lot larger and were bred in Germany to weigh up to 20lbs, which is much larger than we know today. These Dachshunds were bred to hunt small animals like rabbits, and also bigger animals like boars. They proved to be pretty hard working dogs, and obedient ones at that, which is why they worked so well as hunters. 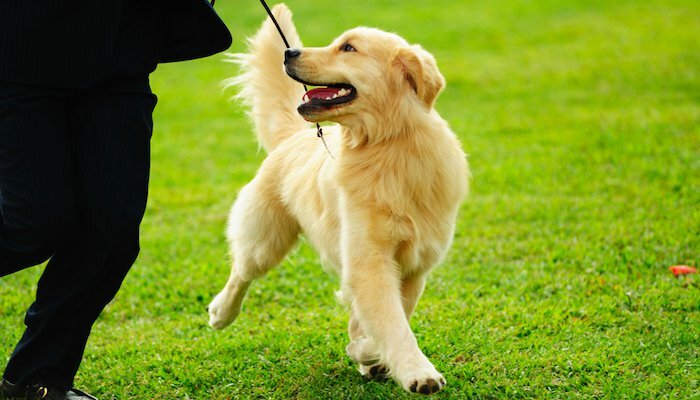 During the 1800s, the breed soared in popularity as more and more people wanted them as pets. They were cross-bred with other dog breeds to create the Dachshunds we have come to know these days. Generally, Dachshunds usually live between 15 and 20 years, which is good going for a small dog. However, this long life can be strewn with problems like arthritis, especially within the spine. This particular breed is also renowned for having weight problems, which may result in health problems like diabetes. To see if your dog may be at risk, have a look at this list to see if any match up to your dog. Diabetes: This disorder can come about through many different sources, but the main cause of certain types of diabetes is a person/animal’s genetic make-up. Unfortunately for our little friends, Dachshunds are more likely than other breeds of dog, to develop diabetes. This could be due to their weight problems, which is, similarly to humans, a cause of this killer disease. Eye Problems: A Dachshund’s eyes are also at risk of contracting diseases and medical problems, from the easy to treat dry eye, to the not so easy to treat, PRA (Progressive Retinal Atrophy). Hip Dysplasia: This genetic problem is passed from generation to generation of Dachshund and is easy to spot in dogs, as their hip joint look malformed, due to the two adjoining bones grinding together. Intervertebral Disc Disease (IVDD): As we said, Dachshunds are prone to having back problems, and IVDD is one of them. In fact, this is the most prevalent problem in the breed, with one in four developing it within their lives. That’s a quarter of the entire breed! Obesity: Obesity is extremely common in Dachshunds, as they are renowned for having unhealthy diets and struggling to exercise due to their unique body shape. It’s also common for dogs with IVDD to struggle to walk, which can mean that lack of exercise prevails and obesity is rife. Patellar Luxation: Occasionally, a Dachshund’s knee joint does not fully form, meaning it can dislocate on a daily basis, leading often, to arthritis in the joint. Skin Issues: This particular breed of dog are notorious for having skin problems. Some skin problems, in fact, are found to affect this breed and this breed only. 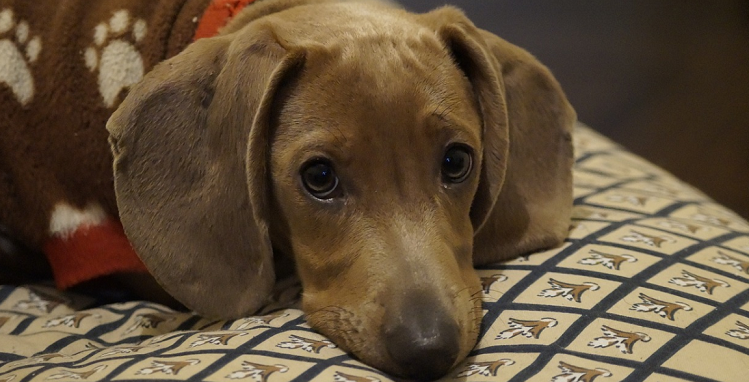 It’s safe to say that Dachshunds have been dealt an unfair hand when it comes to health, but you must remember that that are lots of ways in which you as an owner can help your dog have a normal and healthy life, even if they do suffer from anything we’ve just discussed. One of the very best ways to help a suffering Dachshund is CBD, which is the plant-based oil which you can find in hemp plants. In this piece, I shall focus on the two main problems affecting Dachshund’s health. But first, allow me to introduce myself. I am Blake, and only a couple of years ago, my lovely, loyal Golden Retriever, Rosie, apart from having arthritis and dysplasia, was diagnosed with cancer. I didn’t want her final stage of life to be filled with sadness and pain, so I strived to make her life the rest of her life happily and healthily – which is where CBD comes in. Initially, I was not convinced. Why would I let my dog take a medicine that was synonymous with drugs? I didn’t want my dog getting high! But, as soon as I realized that CBD was actually very safe and had absolutely no side effects, I gave in and I’m so thrilled that I did. After only a couple of days, Rosie’s cancer symptoms were lessened and she seemed much happier. It was clear to see that she had very little pain and she even got her appetite back, despite still going through her chemotherapy. 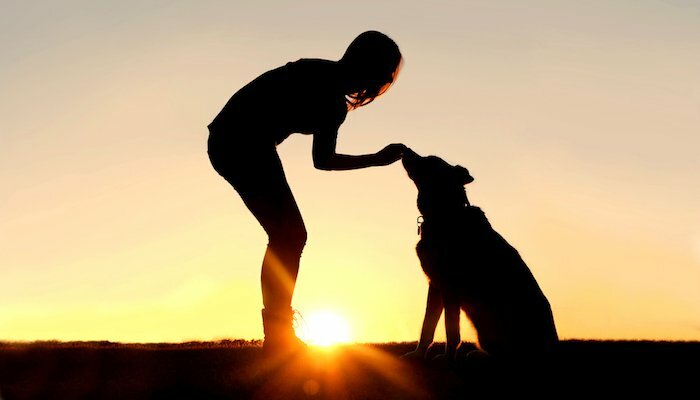 My vet had estimated that she wouldn’t be here in a few years, but luckily for her, CBD meant that her life was extended – as well as her well-being. Now, as her legacy, I want to pass on the information about CBD and how it really can benefit dogs. 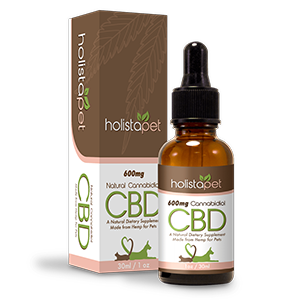 I recommend that you harness the benefits that CBD can bring to your dog’s life. It is used for many different reasons, other than just the health benefits which I plan to tell you about today, so bear that in mind whilst you’re reading. For more information about the health benefits which CBD can bring to your pet’s life, see here. My dog, Rosie, was treated with CBD and I found a massive difference with how she held herself, where previously she had been limping with arthritis. Her cancer left her feeling particularly lazy and lacking in energy, which was completely different from the dog I’d always known – she was always so full of life. The old Rosie loved nothing more than running in the park, playing with other dogs and swimming wherever she could. After her diagnosis, she would cry or whimper after any physical movement involving her hips or her legs. That was until we used CBD, and she was immediately more active, was able to jump on the couch without whimpering and seemed much more like her old self. As we prescribed her with more CBD, she improved daily and it was so nice to see. In just a couple of days, she was back to her usual playful self. If your dog is anything like my Rosie, I can’t recommend that you try CBD based remedies on them enough. It will ease their pain and control any joint inflammation which could be affecting their backs and joints. If your dog develops arthritis due to their IVDD, which is extremely common, CBD could really help. 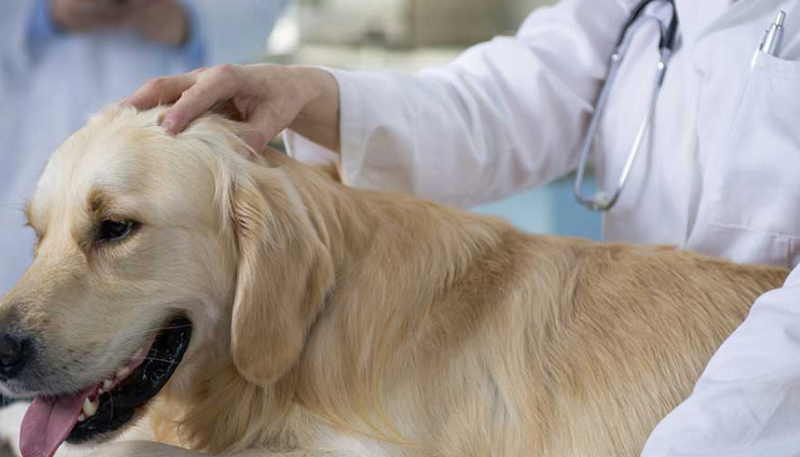 Your vet can help you control your dog’s diabetes and make it more manageable, usually by prescribing medicines and injections, or suggesting changes to diets in leading a healthy lifestyle. 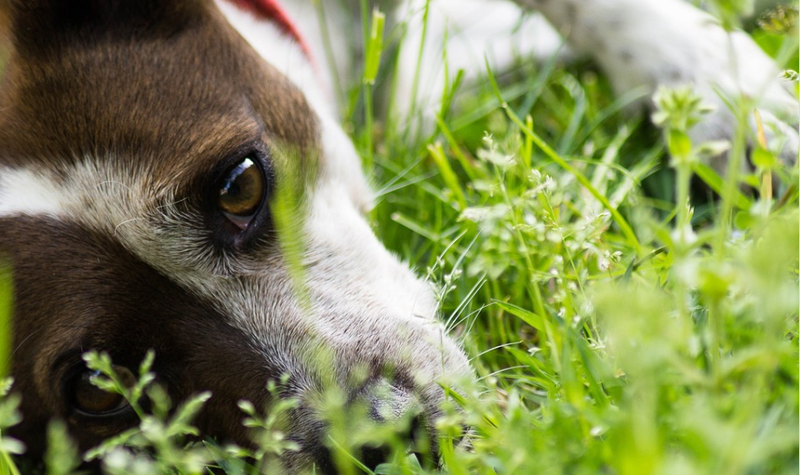 Most forms of diabetes is very manageable in dogs and shouldn’t cause too much worry to the owners, especially when CBD is being used as a natural remedy. Back in 2015, an Israel-based company developed a CBD treatment after their research showed how much it can help prevent and treat the condition. Their studies suggested that CBD helped to combat the disease in its different types and promote good health in canines. I realise that you will immediately presume that such research was carried out on lab rats or even humans and not dogs, so you will wonder how effective it will be on your pooch and whether there will be side effects. Fear not, despite your pooch’s anatomy being different to humans and lab rats, they do have identical structures within their genetic makeup, meaning they can also benefit in a similar way mammals do, to CBD treatments. For example, if your pooch has diabetes a CBD-rich dietary supplement like CBD oil or dog treats could be perfect for them. Canna-Pet supplements are also a fantastic source for any dog’s health. In simple terms, yes. I am not the only owner of a dog who has seen massive benefits from CBD. 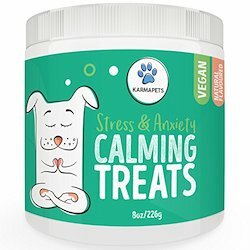 Pet owners globally use CBD supplements and oils to bring their pets to full health, curing all manner of things, from anxiety, to bigger, life-threatening problems like cancer. A particular Dachshund whose owners I know to use CBD capsule supplements is Deuce. He suffers from anxiety, joint pain and diabetes. Similar to other Dachshunds, Deuce suffered with back problems most of his life, but since his owners have been giving him CBD treatments, he is much improved. Chilli, in his final years, would have CBD-infused cookies and treats which made his end of life much more pain free and enjoyable. Erin is a Scottie-mix who has arthritis, resulting in much discomfort when she moves and she’s much less agile than she used to be. Since a course of CBD-based goods, she’s practically running like she did when she was a puppy. Erin’s owners couldn’t recommend CBD more highly. The three Dachshund testimonials have come from Canna-Pet. To see more about Canna Pet, see here. My Dog is Smaller – so which CBD products would you recommend? Throughout the course of my life, I’ve tested out many CBD-based products on my pets and I do feel that some work much better and more effectively than others, where certain products are simply much better value. My number one recommendation is King Kalm, which comes from a brand that I’ve ysed for years, going by the name of King Kanine. 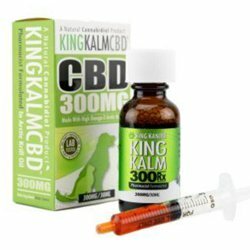 This particular brand have many products, but I’d recommend the CBD 300mg RX for ease of use and best value. For smaller breeds of dogs including Dachshunds, the CBD 300mg RX will last you long enough to see big, dramatic results in your dog. If you like the sound of it, you can save almost a quarter of the retail price by buying it here. If you’re interested in finding out more information about our expertise with CBD products, including testimonials and case studies, why not head on over to my review of King Kanine for everything you could possibly need to know. So, in short, if your four legged friend isn’t feeling their best, I urge you to try CBD and sit back as you see the transformation in a matter of days.